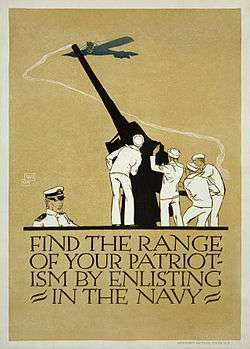 Prior to the outbreak of World War I, military recruitment in the US was conducted primarily by individual states. 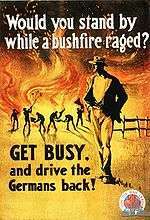 Upon entering the war, however, the federal government took an increased role. 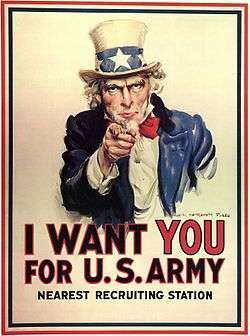 In the aftermath of World War II military recruitment shifted significantly. 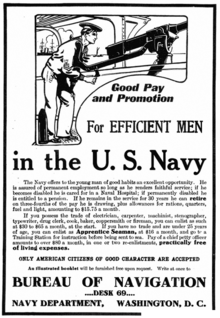 With no war calling men and women to duty, the United States refocused its recruitment efforts to present the military as a career option, and as a means of achieving a higher education. A majority - 55% - of all recruitment posters would serve this end. 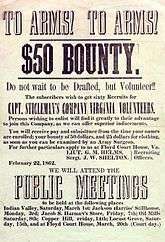 And though peacetime would not last, factors such as the move to an all-volunteer military would ultimately keep career-oriented recruitment efforts in place. The Defense Department turned to television syndication as a recruiting aid from 1957-1960 with a filmed show, Country Style, USA. On February 20, 1970, the President’s Commission on an All-Volunteer Armed Force unanimously agreed that the United States would be best served by an all-volunteer military. 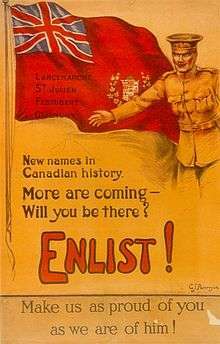 In supporting this recommendation, the committee noted that recruitment efforts would have to be intensified, as new enlistees would need to be convinced rather than conscripted. Much like the post-World War II era, these new campaigns put a stronger emphasis on job opportunity. 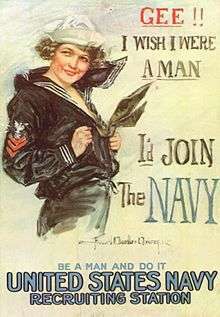 As such, the committee recommended “improved basic compensation and conditions of service, proficiency pay, and accelerated promotions for the highly skilled to make military career opportunities more attractive.” These new directives were to be combined with “an intensive recruiting effort.” Finalized in mid-1973, the recruitment of a “professional” military was met with success. In 1975 and 1976, military enlistments exceeded expectations, with over 365,000 men and women entering the military. Though this may, in part, have been the result of a lack of civilian jobs during the recession, it nevertheless stands to underline the ways in which recruiting efforts responded to the circumstances of the time. Recruitment can be conducted over the telephone with organized lists, through email campaigns and from face to face prospecting. While telephone prospecting is the most efficient, face to face prospecting is the most effective. Military recruiters often set up booths at amusement parks, sports stadiums and other attractions. In recent years social media has been more commonly used. The American military has had recruiters since the time of the colonies in the 1700s. Today there are thousands of recruiting stations across the United States, serving the Army, Navy, Marines, and Air Force. Recruiting offices normally consist of 2-8 recruiters between the ranks of E-5 and E-7. When a potential applicant walks into a recruiting station his or her height and weight are checked and their background investigated. A finger print scan is conducted and a practice ASVAB exam is given to them. Applicants can not officially swear their enlistment oath in the recruiting office. This is conducted at a Military Entrance Processing Station - MEPS. From the times of the British Raj, recruitment in India has been voluntary. 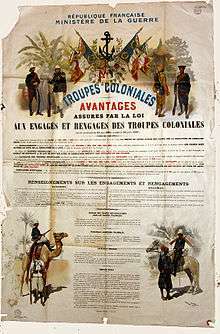 Using Martial Race theory, the British recruited heavily from selected communities for service in the colonial army. 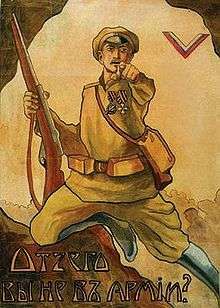 The largest of the colonial military forces the British Indian Army of the British Raj until Military of India, was a volunteer army, raised from the native population with British officers. The Indian Army served both as a security force in India itself and, particularly during the World Wars, in other theaters. 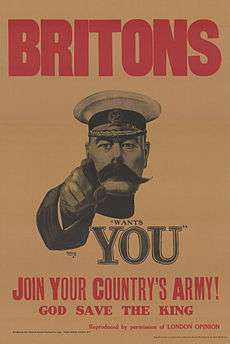 About 1.3 million men served in the First World War. During World War II, the British Indian Army would become the largest volunteer army in history, rising to over 2.5 million men in August 1945. 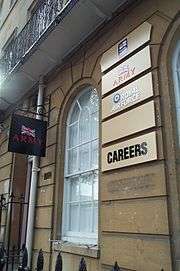 A recruitment centre in the UK, recruiting station in the U.S., or recruiting office in New Zealand, is a building used to recruit people into an organization, and is the most popularized method of military recruitment. The U.S. Army refers to their offices as recruiting centers as of 2012. ↑ "Marching orders for teenage soldiers?". BBC News. June 22, 1998. Retrieved May 12, 2010. ↑ "MoD denies 'war glamour' claim". BBC News. January 7, 2008. Retrieved May 12, 2010. ↑ "Teachers reject 'Army propaganda'". BBC News. March 25, 2008. Retrieved May 12, 2010. ↑ "Commonwealth War Graves Commission Report on India 2007–2008" (PDF). Retrieved 2009-09-07.